Home » Posts Tagged "centrifugal"
Buying a shower pump is not easy nowaday’s, Here is a quick guide to help you choose. 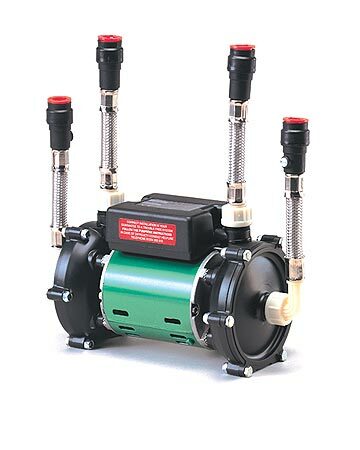 There are two different types of shower pump centrifugal and regenerative, centrifugal are quieter and more efficient, regenerative are cheaper and easier to install. You should choose the pump based on the size of the plumbing pipes where it is going to be fitted, i.e if you have 15mm pipes where the pump is to be fitted then use a 15mm pump and if your pipes are 22mm then use a 22mm pump. 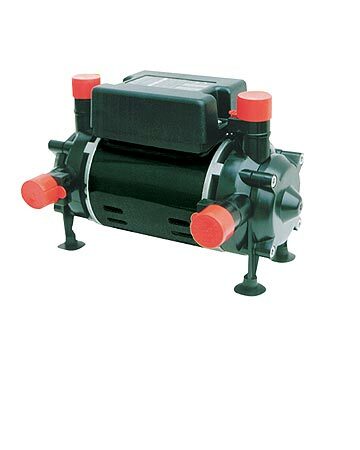 The pressure of a pump should be matched to the equipment it is pumping too, If the product states that it requires 2.0 bar pressure then purchase 2.0bar and above shower pump. 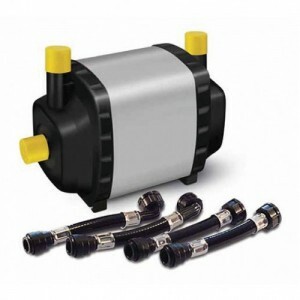 Try to plan the pump installation so that the pump will be sited as close to the hot water cylinder as possible, if you are fitting the pump in the loft or above the hot water cylinder regenerative pumps are a better solution as they tend to be less effected by the air that can accumilate above the hot water cylinders. Top right Image is a regenerative Salamander CT50 contract shower pump and bottom right is the Salamander centrifugal RSP50 centrifugal Shower pump. Techflow have the quietest shower pumps on the market with their QT range of centrifugal pumps, Designed for today’s high quality shower market, its build quality is second to none and will make sure you get that all important invigorating shower you deserve. With three models in the range from the QT45 a 1.2bar a QT80 the 2.3bar a QT120 3.3bar models you will get the booster pump performance you require for every showers on the market. These products are built in Sussex UK and are now available to buy online from Tapstore.com with free delivery on all orders to UK destinations.